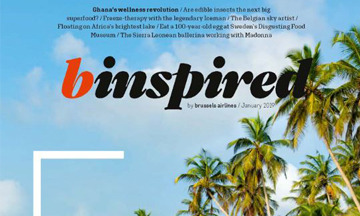 In-flight magazine for Brussels Airlines’, b.inspired, has announced its relaunch. The new-look magazine firmly sticks to its promise to inspire with original stories from across the airline’s far-reaching network. There is on-the-pulse travel trends, insider information on local culture, people, cuisine and events, plus motivational business articles. The relaunch includes a new front cover redesign and features. The relaunched magazine is now available in-flight.